There are many games in this world. Blackjack is one of the most popular games among the casino gamblers, who play cards. Every game has a number of definite rules. Different blackjack casinos may have different game peculiarities. Some casino rules are even complicated for the gamblers. But all the blackjack games have some basic rules which are common in each game. 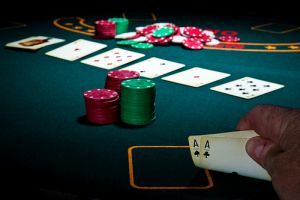 it is rather convenient as you have no need to learn all the rules each time you want to play blackjack at different casinos. But before playing blackjack for real, it is advisable to play online in blackjack games just to practice. Every player should know the basic rules as he/she aims at how to win at blackjack. These rules are given below. The aim of blackjack is to have higher value than the dealer's hand is without crossing over Twenty-one. The value of the face cards is 10. Ace may cost 1 or 11 points. All other cars have their value corresponding to their number. Every player begins with two cards. The dealer's card, one is shown and the other is hidden until finishing the game. Dealer may stand or hit on soft 17. If you get over Twenty-one, you are busted. Then the dealer will win. At the beginning of the game, if your point is twenty-one (including ten &ace), then you will get a blackjack. The dealer will strike until his total is not seventeen or more. You can hit doubling, if your bet is twice. Then you will get one extra card. You can choose spilt, if your cards are similar. The bet will be doubled when splitting. From the first turn, you can bet doubled. Splitting the cards, use the strategy chart not to make the situation worse. When your two primary cards are given, you can like to get the last card when you will play as double on your primary bet. You should take this option, if your total has 9-11. Every player hits depending on the dealer's one card. The blackjack face up his two cards at that time. This time does not depend on blackjack's cards. Such as your first two cards are nine and eight (your total amount is 17), you can hit for seeing the dealer’s another card. The traditional blackjack has an option as yielded. Anyone can surrender from the game when he is losing of your original bet. So this option is also called Surrender. If your total hand is seventeen or more, be ready to stand all the time. Following those rules, everyone can play the blackjack game.